The Pekingese is a charming little dog associated with the emperors of China for millennia. They are also called the lion dog, for their brave hearts. Emperor Lingdi of Han (ruled 168-189) made his favorite Pekingese a member of the nobel cast. 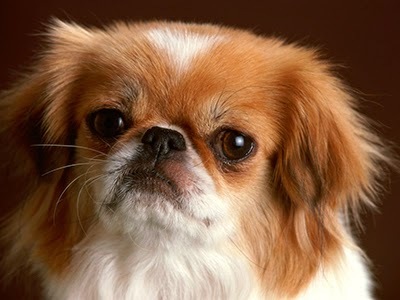 In the time of the Tang Dynasty (618-907) nobody outside the Imperial palace was allowed to own or breed a Pekingese. If an ordinary person happened to cross paths with one of the dogs, he or she had to bow. At one period in history, the Pekingese were bred down in size so their owners could carry them concealed in their sleeves. They were called "sleeve dogs." Three dogs escaped the Titanic: two Pomeranians and one Pekingese. Does your dog chew on things? Watch out for your pets in the heat!